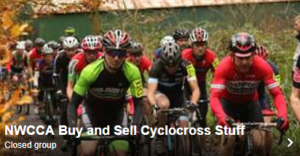 The NWCCA league events are held between September and January (typically) every year. At each league round there will be a number of races categorised by age group and, in some cases, by gender. All Senior, Veteran, Women & Junior, Youth, Under 12, Under 10 & Under 8 riders who wish to participate in the overall league standings (as per current rules re geographical boundaries) will be required to join the league. Riders can register to the league either online until normally prior to the first event, and then at any league event. Veterans and Women can choose to ride in Senior/Under23/Junior league. On doing so they will be competing for the Senior/Under23/Junior League Standings, not the Veteran’s or Women’s League Standings or national points for their category. New race numbers and electronic timing transponders are loaned to the rider at the start of each season. These can be collected at any NWCCA league event. League members keep their numbers (Arm & Back) for the season and use them at each league event they attend. 2 Pings/Trackbacks for "North West Cyclocross League"